INNERN navigates acoustically from Scuol village to Nairs or vice versa with an app and your own headphones. We follow the winding path along the river Inn through the enchanting and mystical landscape of the Lower Engadine, a remote area of the Swiss Alps. In this sensory experience fiction merges with our immediate environment. The fictive listening journey of Hojo and Kraft is based on talks with local inhabitants. 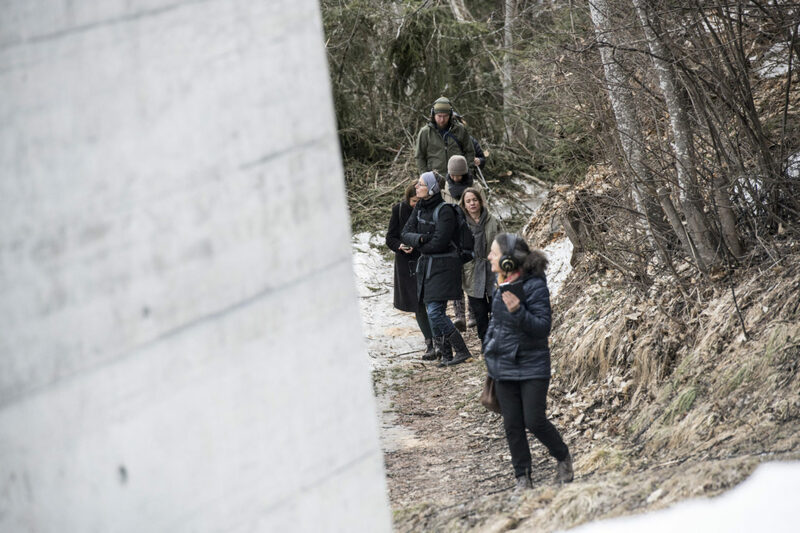 Combined with site-specific performances, field recordings, text and composed sounds, this walking and listening experience allows one to immerse oneself in one’s own, deep perception. The inner is influenced by the external environment, place, nature, culture, history and language. Conversely, the inner perception influences the awareness of the outer world. Everything is similar to the cycle of water. It evaporates from oceans, rivers and lakes and transforms into clouds, rain and snow, infiltrates and flows and comes back again and again. Hojo and Kraft invent stories and musical events that we discover along the way. Opening weeks 17. March – 01. April 2018, App is available until 2020.